A friend of mine and I were discussing the difference between forgiveness and letting go. I shared that in order to forgive, you have to be willing to completely let go of the incident or misdeed. She shared that there were a few things in her life that she had forgiven others for AND she wasn’t going to forget what happened. She went on to explain that she never wanted to find herself in a similar position and wanted to make be she learned from her mistakes. While I agree that we should learn from our mistakes, I believe that in order to fully forgive … we must fully let go! If we don’t, we take the risk of holding a small part of ourselves hostage to an act or misstep committed by someone else. Now might be a good time to remember that what others may have done to us is a statement about who they are and their issues … IT IS NOT ABOUT US! Is there any one you have forgiven and yet thinking about that person stirs up some level of anxiety, anger, fear, or uneasiness? If so, CAN you let it go? WILL you let it go … totally and completely? WHEN will you let it go … ? You cannot control what others choose to do with the gift that you give them. However, you can control whether you mentally decide to take it back … or not. And even if it’s for a little while … why on earth would you do that? 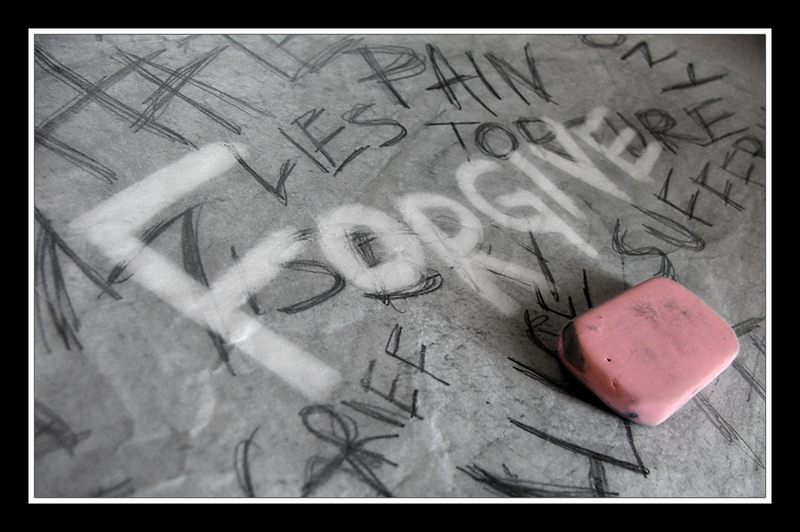 PreviousPrevious post:Education and ExperienceNextNext post:Forgiveness … Who is it good for? There are some things in life that I feel, you can NEVER forgive nor FORGET or ever let go. Not that holding a grudge changes things, but one awful act can impact many lives forever–just saying. I used to think that I would NEVER forgive. The anger I had EVERY time this certain topic would come up…would be like it just happen yesterday and it had been years that I was holding on to this. I never in a million years thought that this could literary be destroying my health. I decided that because my life meant more to me and I cherished my health more than trying to change the other person, and never forgiving, THE FORGIVENESS WAS NOT for the other person, IT WAS FOR MYSELF. We have ALL had NASTY things done to us…How long are we going to harbor that. FORGIVENESS is HUGE and very freeing! Forgiveness is the answer in finding true joy and happiness…and I’m so thankful that I’m willing to do it. A cancelled debt indeed.